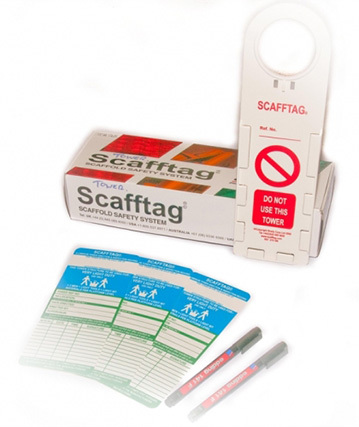 Scafftag is the world’s number one scaffold status tagging system, designed to help prevent hazards when working at height. By providing a simple, easy to use and efficient inspection procedure, Scafftag provides an excellent means of managing scaffolding safety. Scafftag helps you to manage and communicate the changing status of your equipment in terms of safety, maintenance and location. This allows you and your workforce to make informed decisions rather than assumptions, improving safety performance and maximising efficiency.